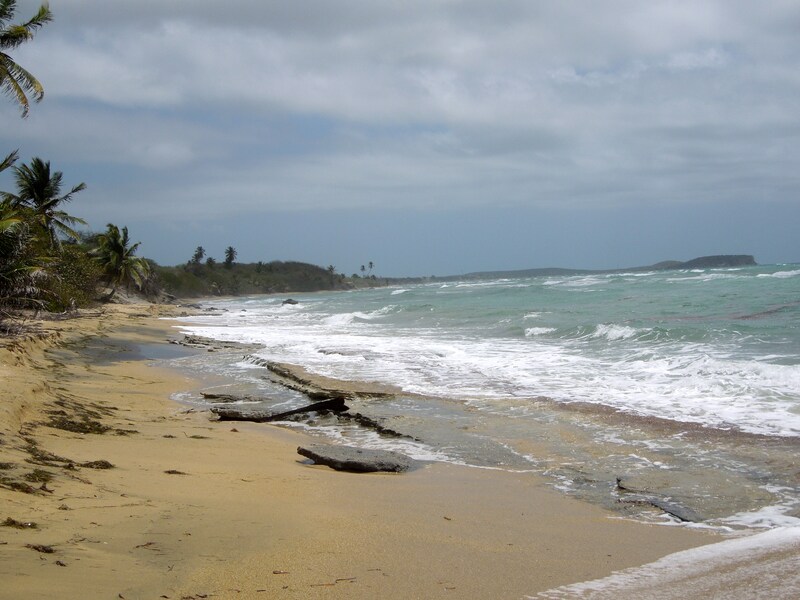 Vieques Island used to house a U.S. miltary base. Though the Navy left there in 2003, many of the beaches are still referred to by the names the Navy gave them. Very misleading, non-descriptive names: Red Beach, Blue Beach, Green Beach, Purple Beach. What most of them should be called is: Deserted Beach. It took four tries before we finally encountered other people at a beach. The first beach we went to was Playa Negra (Black Sand Beach). Luckily, I’d read other blog posts and knew that to find it, you had to look for the spray-painted guardrail, park in the dirt, and walk about 10 minutes down a dry creekbed to get to the beach. Once there, the black sand is mingled with regular sand, and it just looks a little dirty. Until you wander down the beach to the right and then the sand is black. And beautiful. Topped only by the presence of wild horses that suddenly appeared. 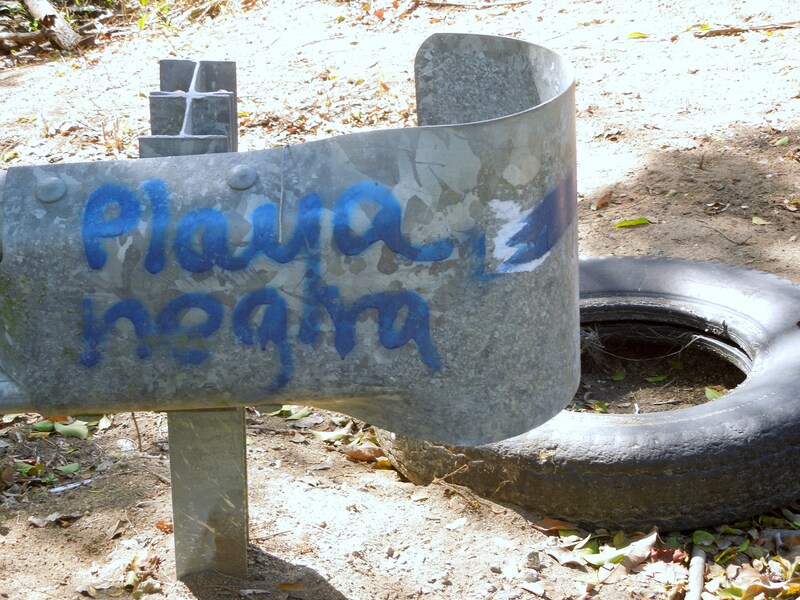 From there, we drove down a rutted road to Playa Grande. Sounds like it should be a big, populated beach, right? Wrong. It was completely deserted as far as the eye could see. And though it stretches for what seemed to be miles, the water is rough and rocky. We learned that the hard way. My mother got knocked over by a current that bashed her into the rocks. More about that later. 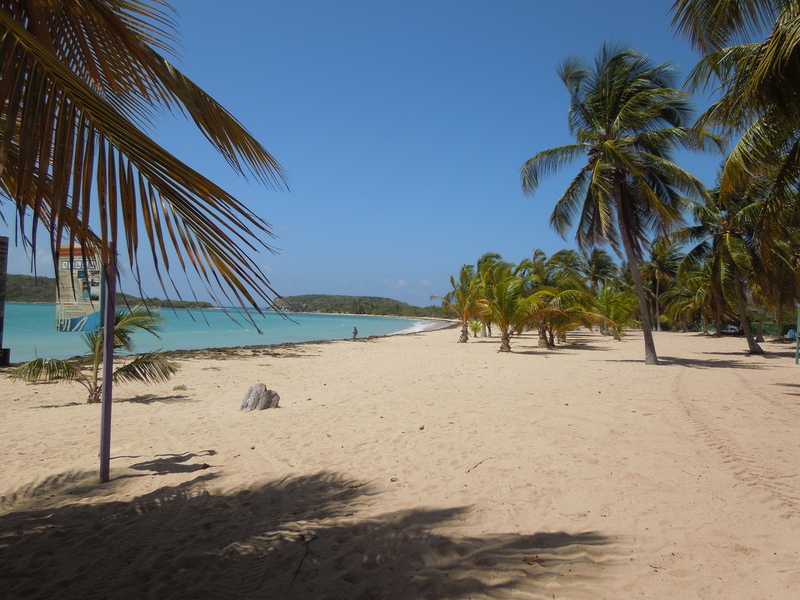 It didn’t take long at these deserted beaches before I was fried to a crisp. There is not sunscreen strong enough for me to come out unscathed in the Caribbean. 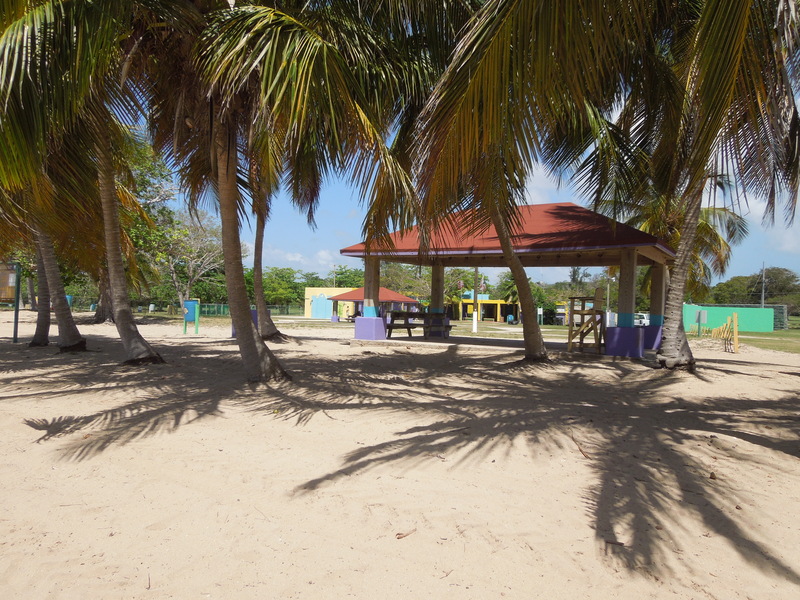 So I found a beach that had shelters and palm trees. Even a lifeguard! This was more of a swimming beach, where I could lay in the shade of a palm and read. Sun Bay. There was even a sign leading to it on the road. But when we got there, the red flag was up. Apparently it was not safe to swim. There was no lifeguard on duty. And despite the beautiful blue skies, sun, waving palm trees, and sand, there was not another soul to be seen. You can just make out my daughter in the distance. Finally, we decided to find more people. The next beach was Playa Caracas (Red Beach), which Guido jokingly referred to as “crowded.” Indeed, there were a couple dozen people there, splashing and playing in the aquamarine water. I grabbed a shelter and tried to stay out of the sun, but the water beckoned and I let the burn intensify a little before I finally got out of the sun and the water for good. But, boy – was that a fun day. Our trip was too short to take in all of the beaches. We missed the Sea Glass Beach, Purple Beach, Green Beach, and Navio Beach. I know there are more, but those are at the top of my list for when we go back. What about you? What are your favorite beaches? And are they deserted? 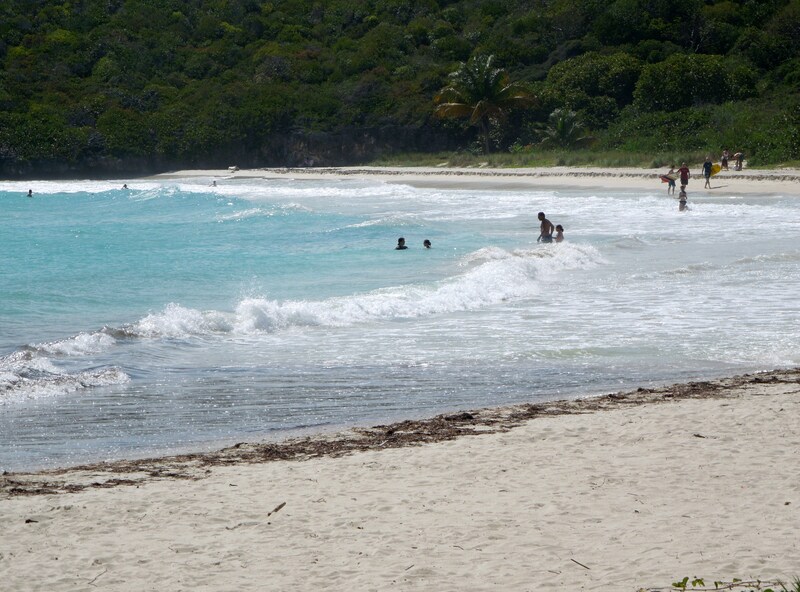 ← Welcome to the Island of Vieques! Black sand! Isn’t there another beach somewhere in the world where the sand is completely black? I’m no good at geography so maybe you can help me out. 🙂 That last picture looks fantastic. There are black sand beaches in Hawaii. sadly, I haven’t seen them– yet. 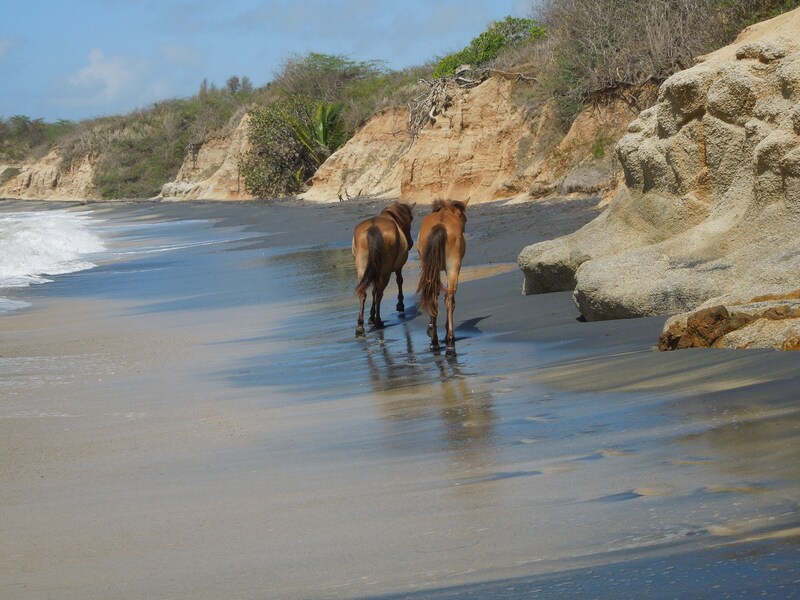 That is a beautiful beach and just full of surprises like the horse galloping along the shore. Yea. 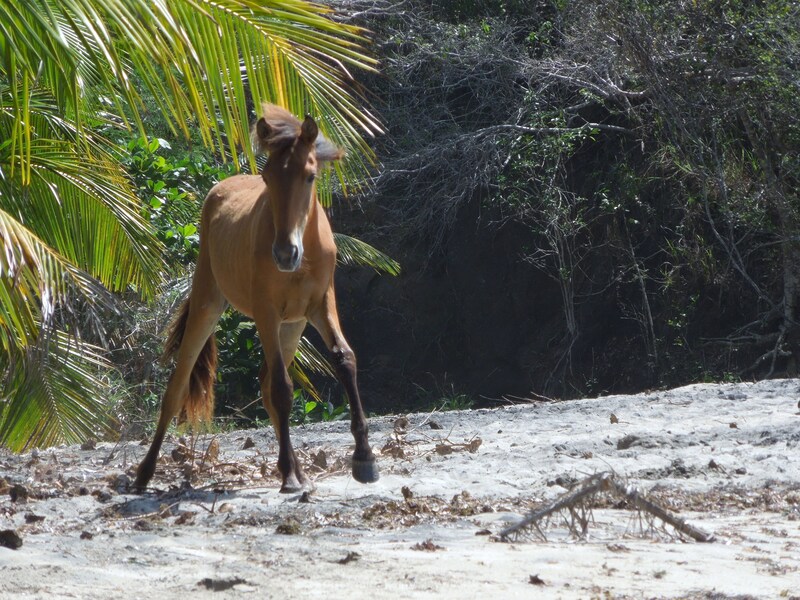 I’d hoped and hoped we’d see wild horses on the beach and we did. I was thrilled! There we were, all alone, and then horses appeared. Incredible. Not a beach bum but I love Inch Strand in Kerry, Ireland where they shot the opening sequence of ‘Ryan’s Daughter’. I have never heard of Kerry, but now I’m curious. How fun to have the wild horses appear suddenly. Yes. My daughter loves horses and was thrilled to see them. She would have liked to ride them, too, but it was enough to share a beach and admire them as they walked by. Please, please, please don’t let developers find this! I know! I can’t believe it’s not built up already. A large part of the island is a wildlife refuge, so I’m sure that’s helped. 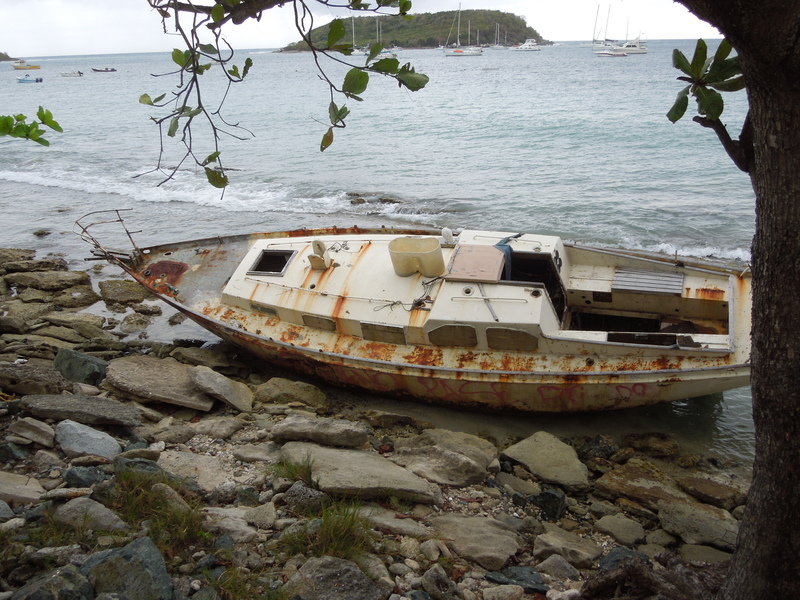 But it is a miracle that it is still undeveloped with natural beaches and wildlife everywhere. Haven’t been to any as gorgeous as these Juliann! Superb captures too. High praise, indeed, coming from you. Thanks! These are beautiful beaches that you’ve discovered. And to have them to yourselves? Sheer heaven! It was heavenly. I couldn’t believe how deserted they were. This was Spring Break week, too, and still high season! wild horses? Wow! That must have been so awesome! 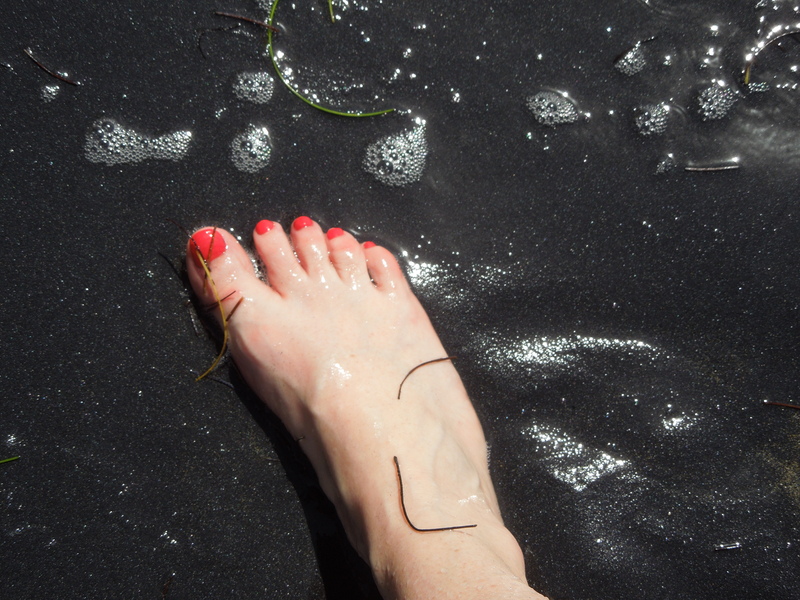 I thought Hawaii was the only place with black sand! I know. I thought black sand was only in Hawaii, too. But apparently you can find it on several islands. The wild horses, though, WITH the black sand was incredible.